This is a trade-in-car. 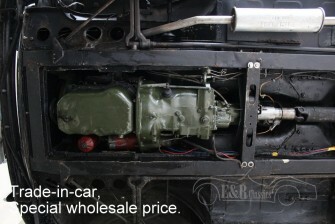 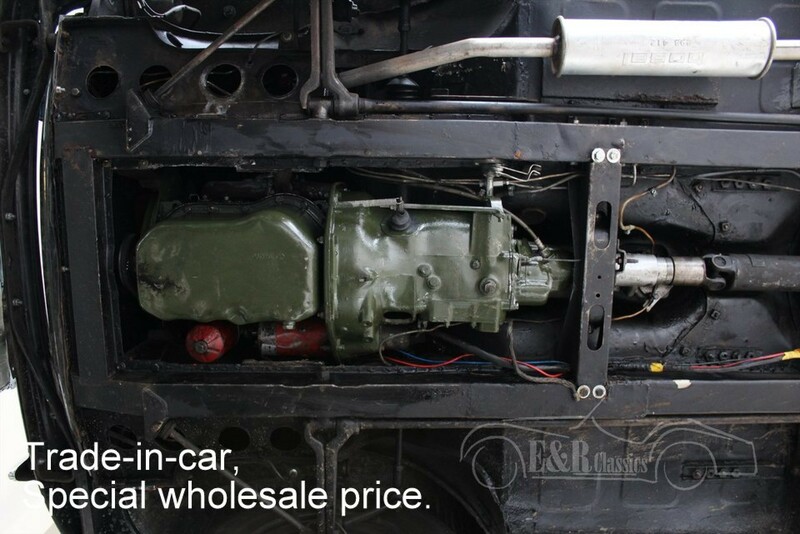 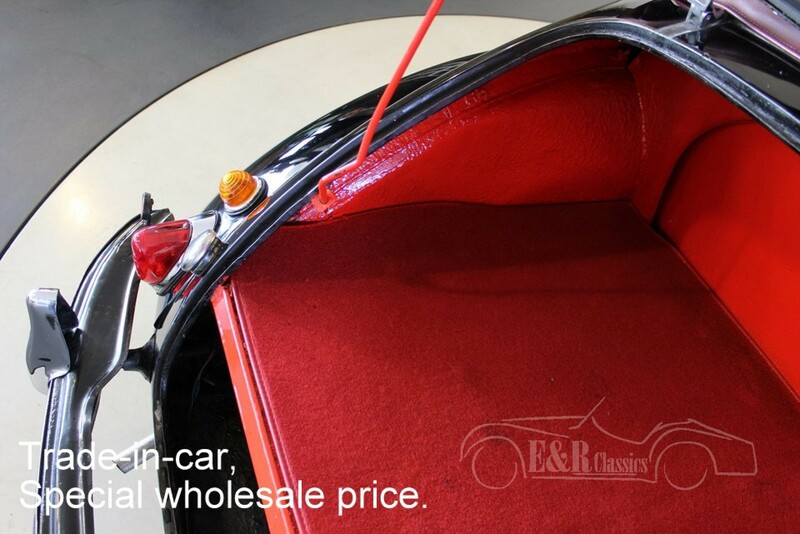 A special wholesale price applies to this. 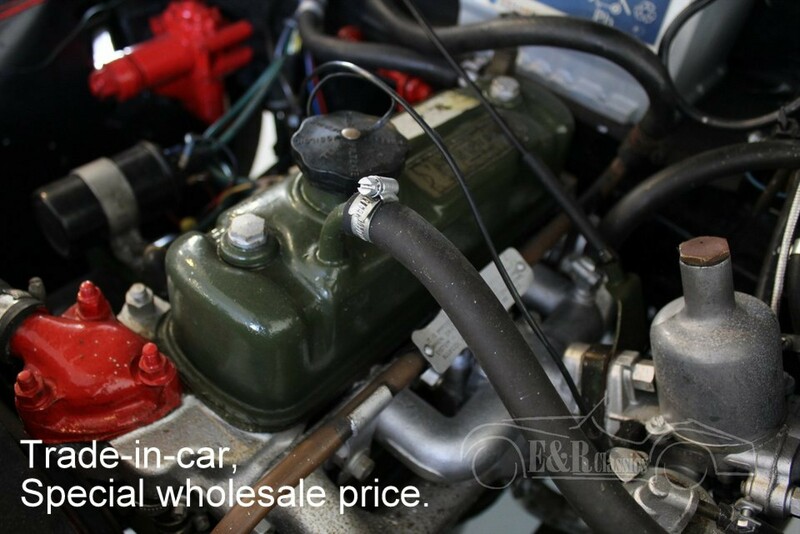 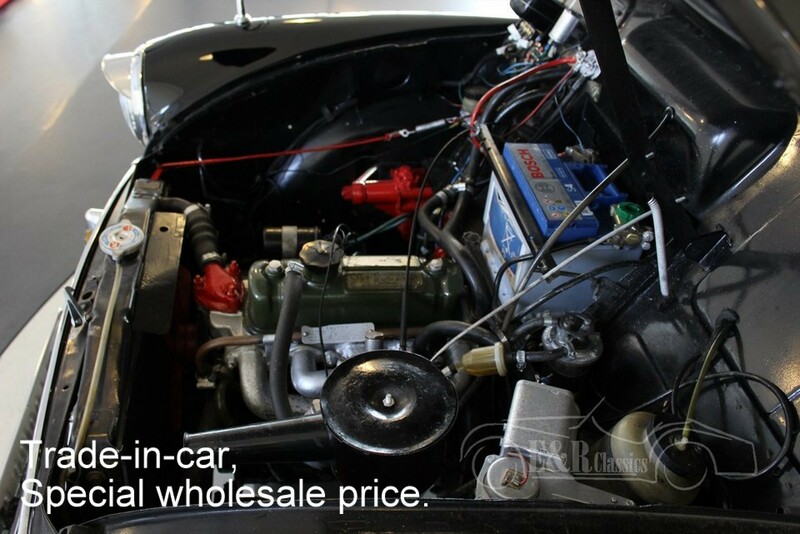 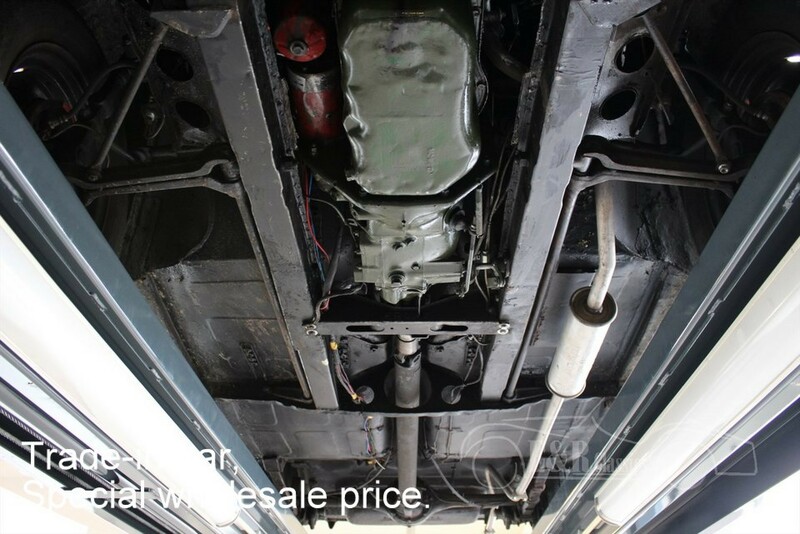 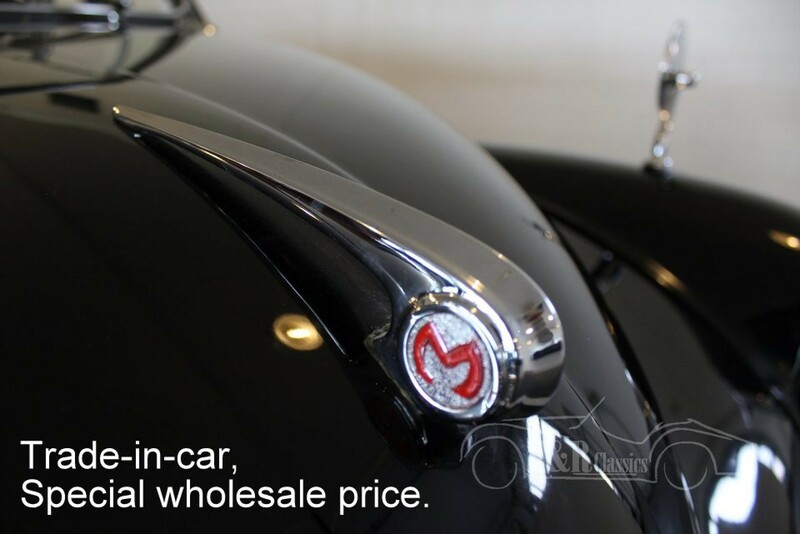 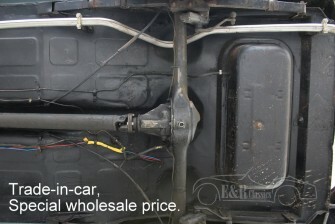 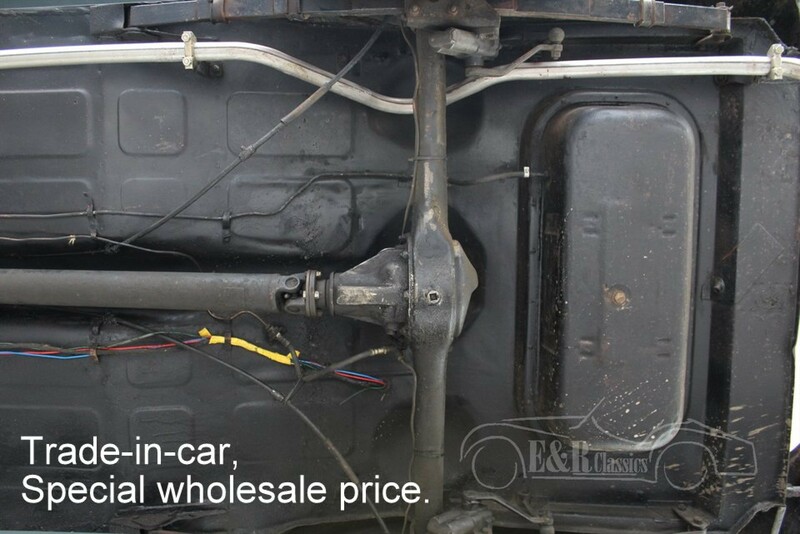 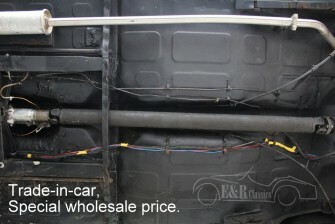 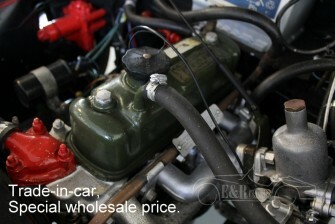 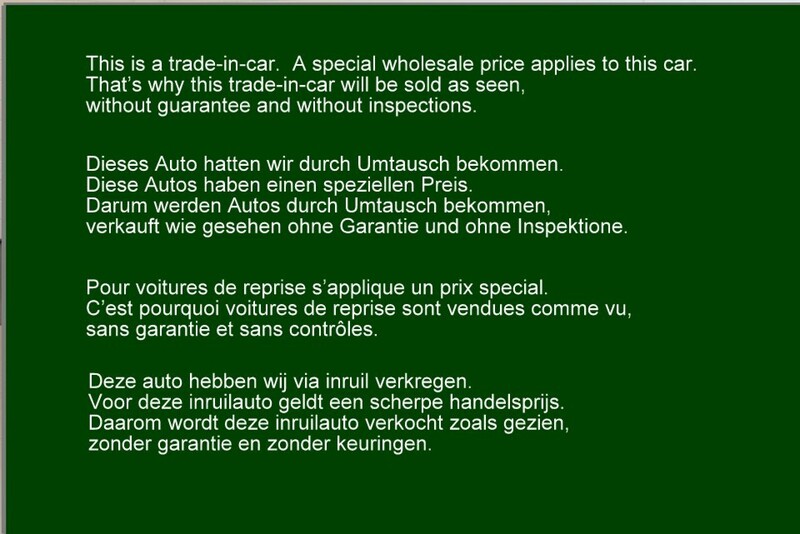 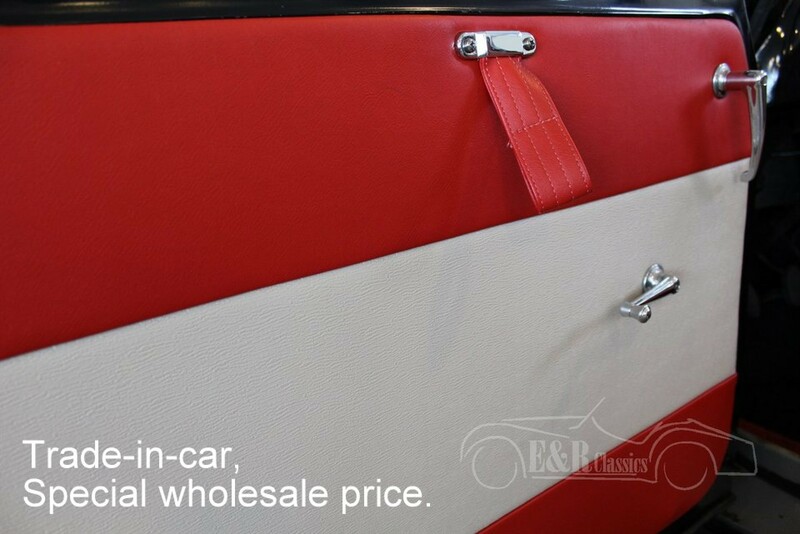 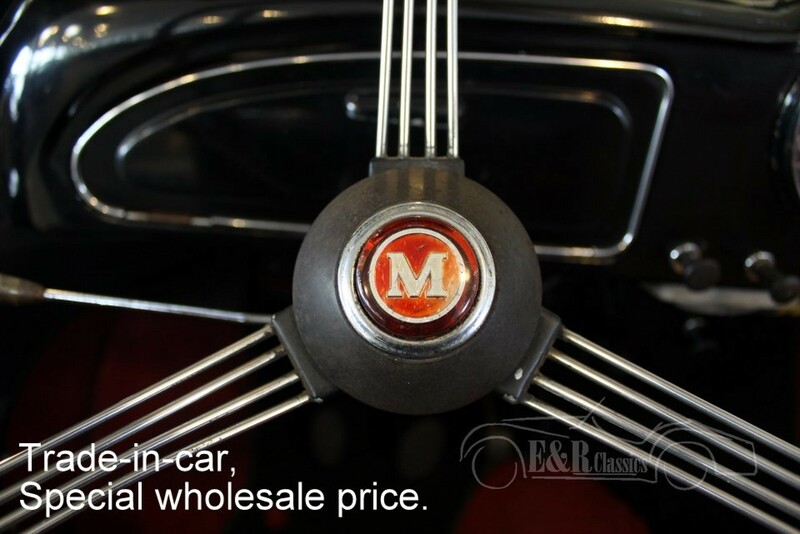 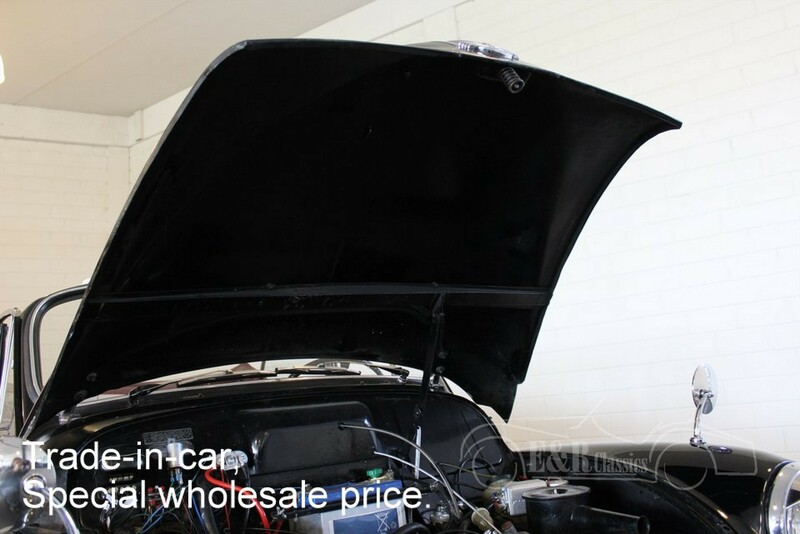 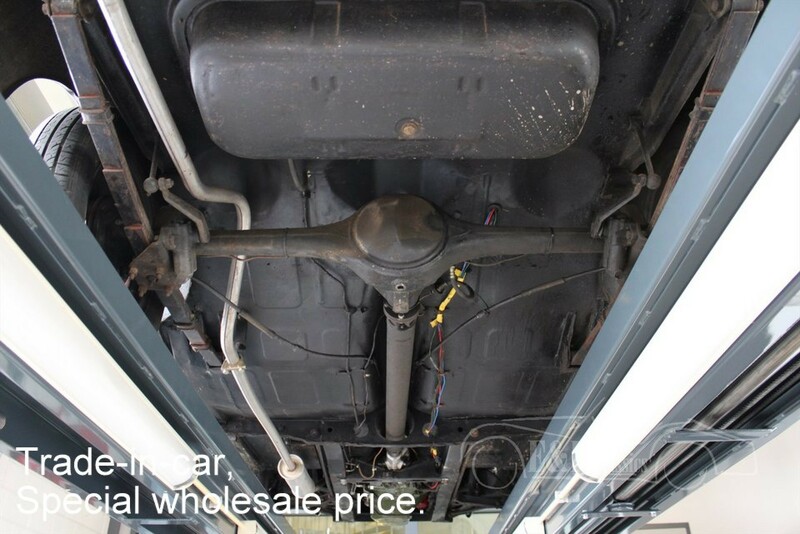 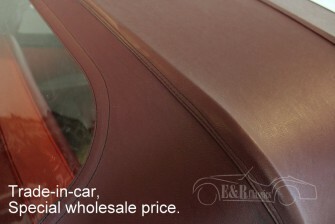 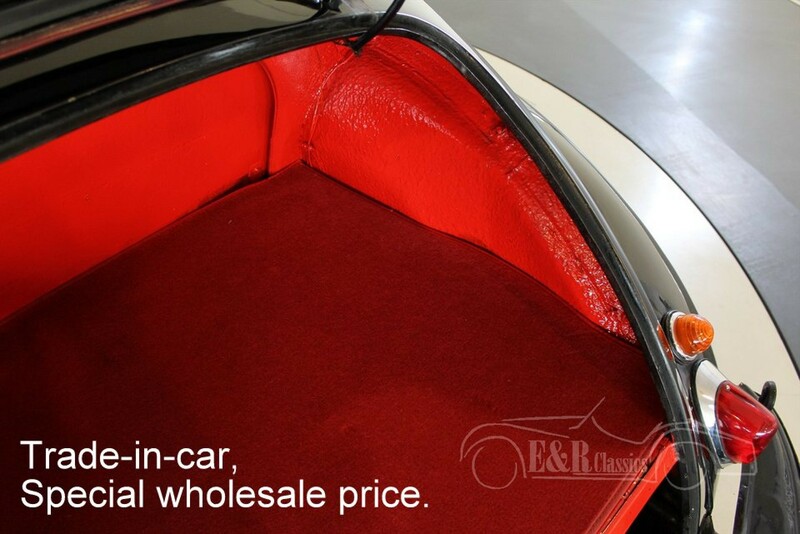 That’s why trade-in-cars will be sold as seen, without guarantee and without inspections. 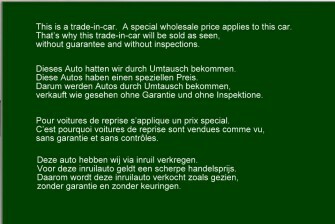 We are sorry but we can’t give these cars a foreign registration. 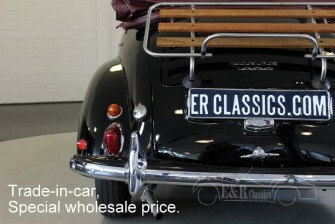 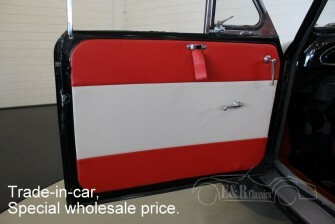 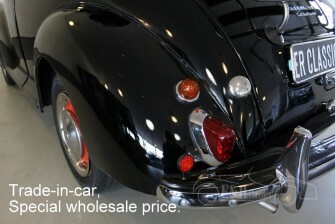 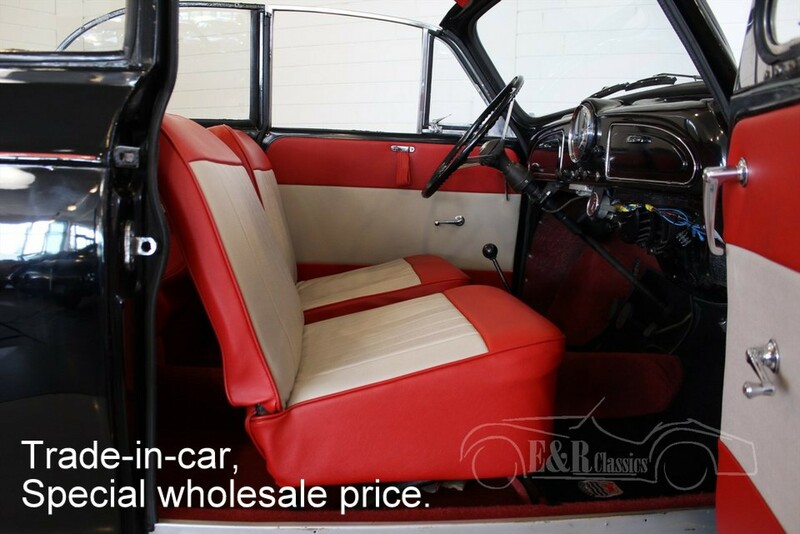 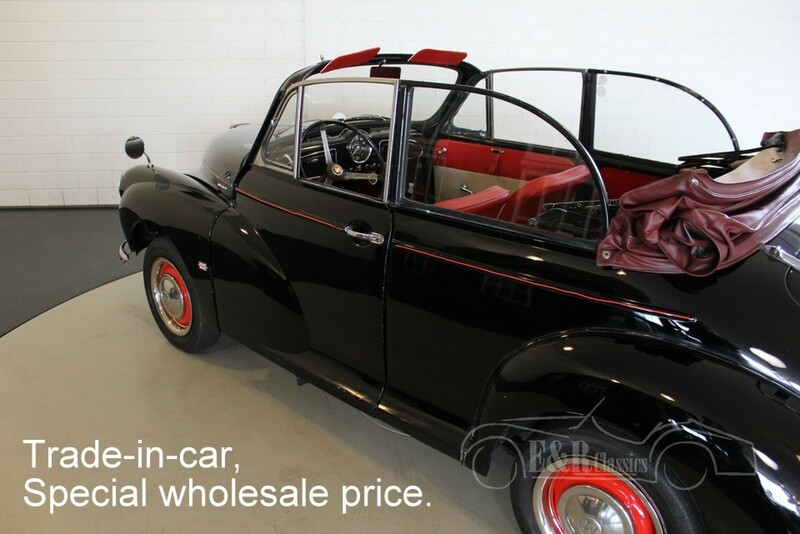 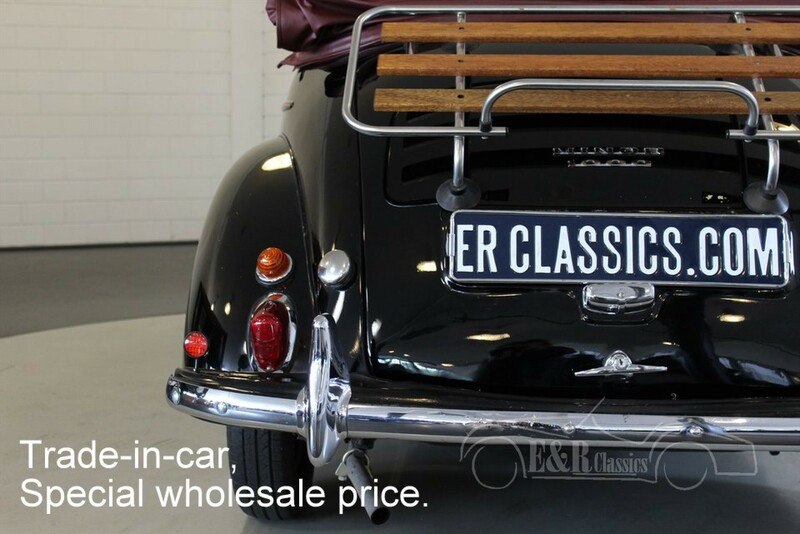 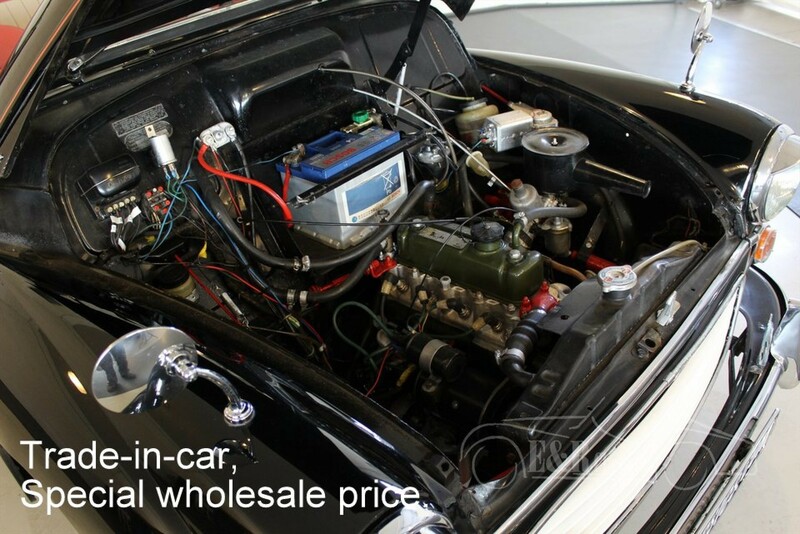 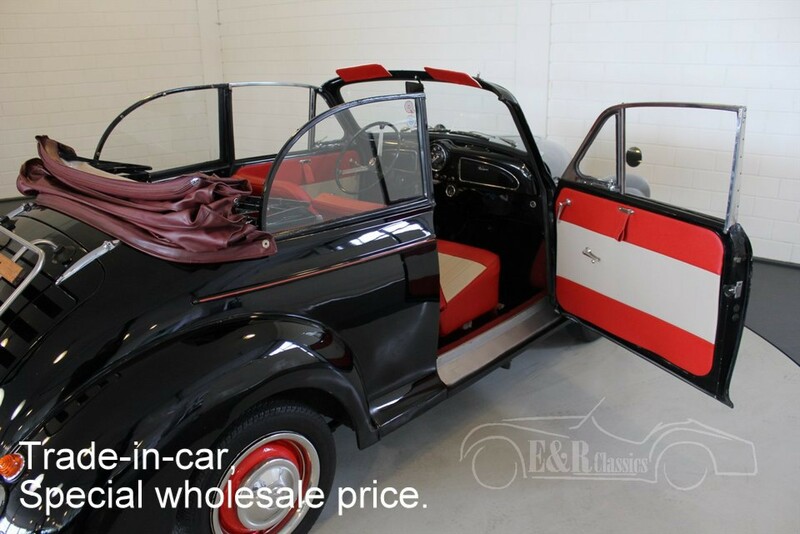 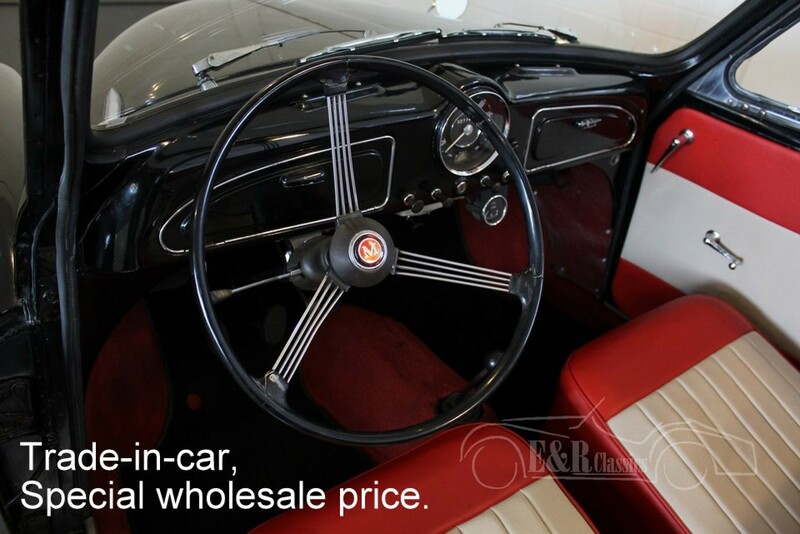 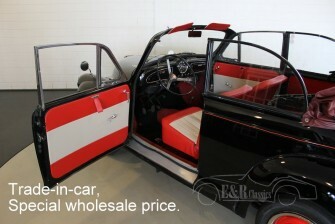 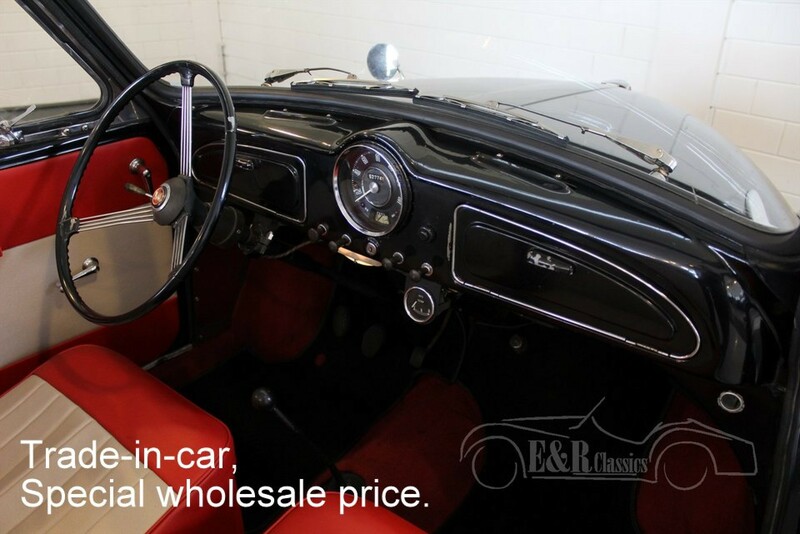 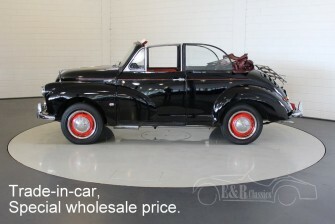 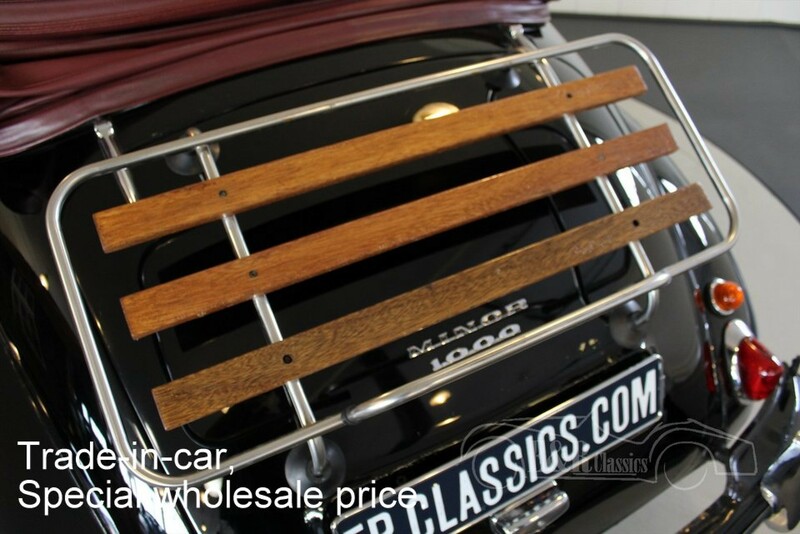 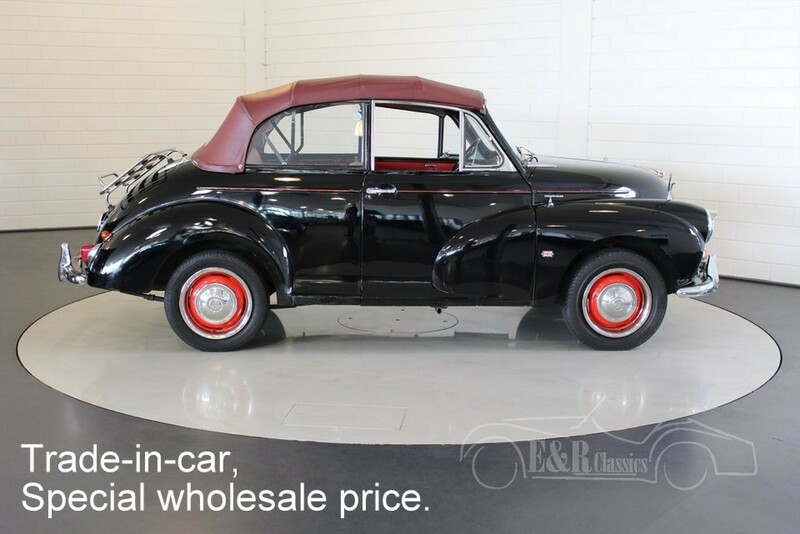 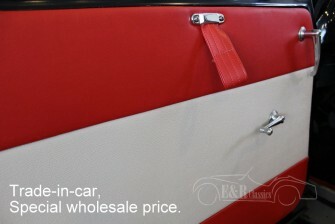 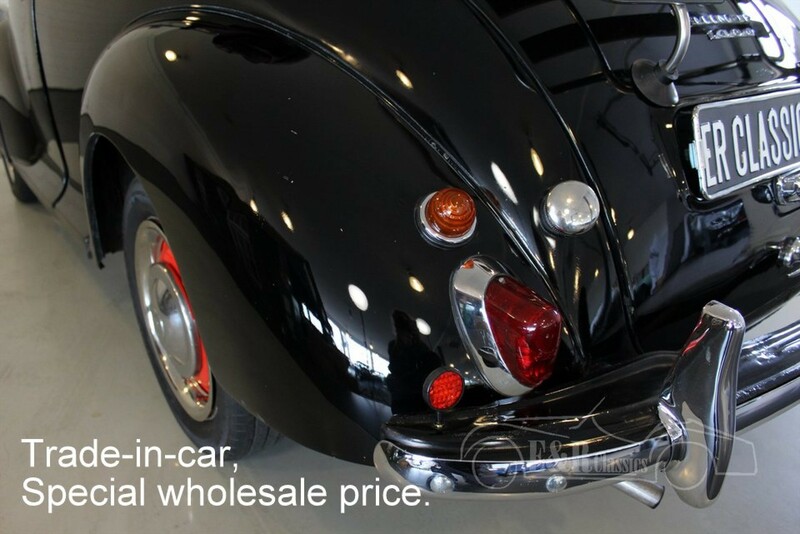 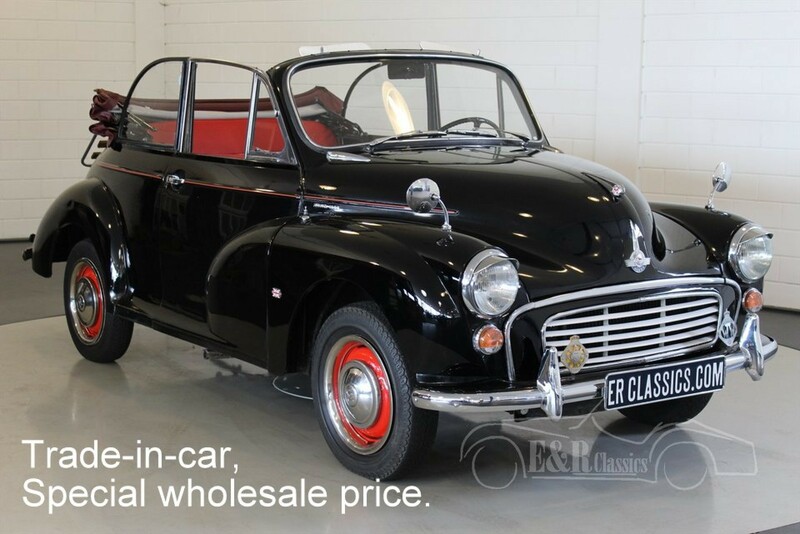 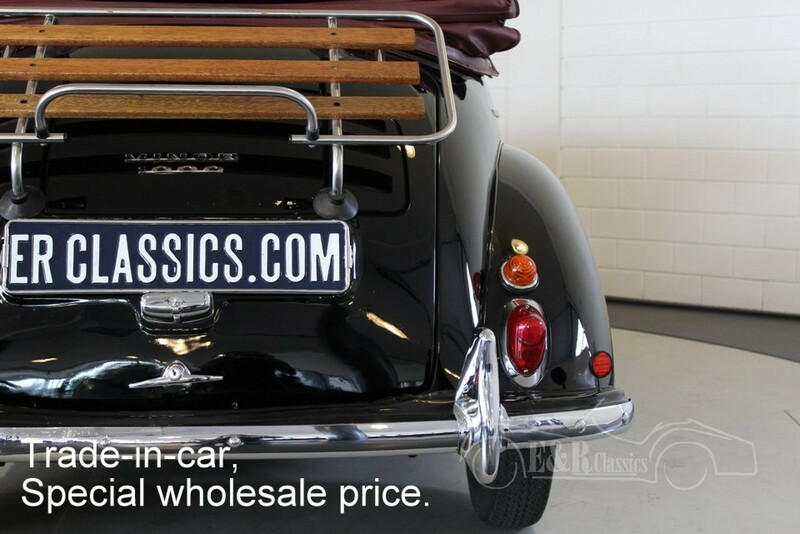 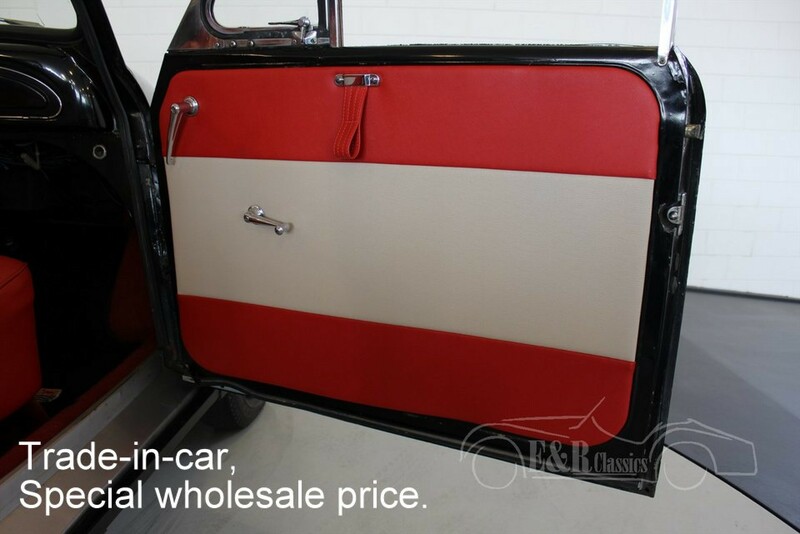 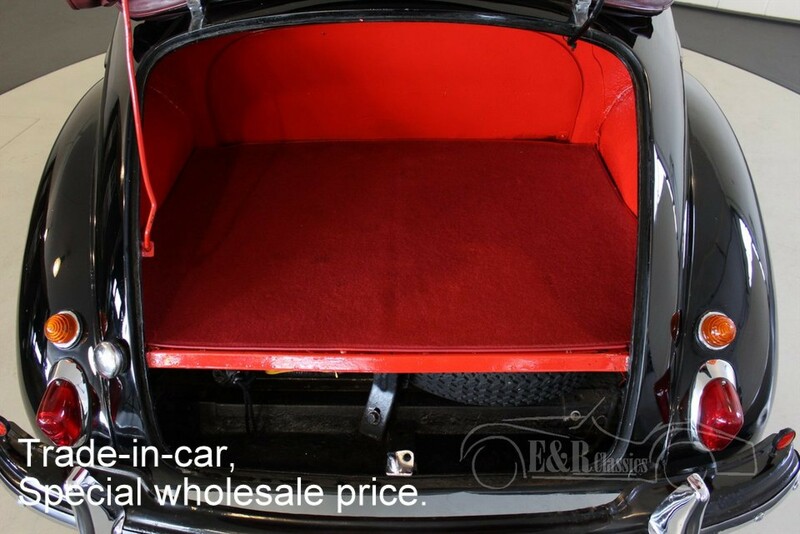 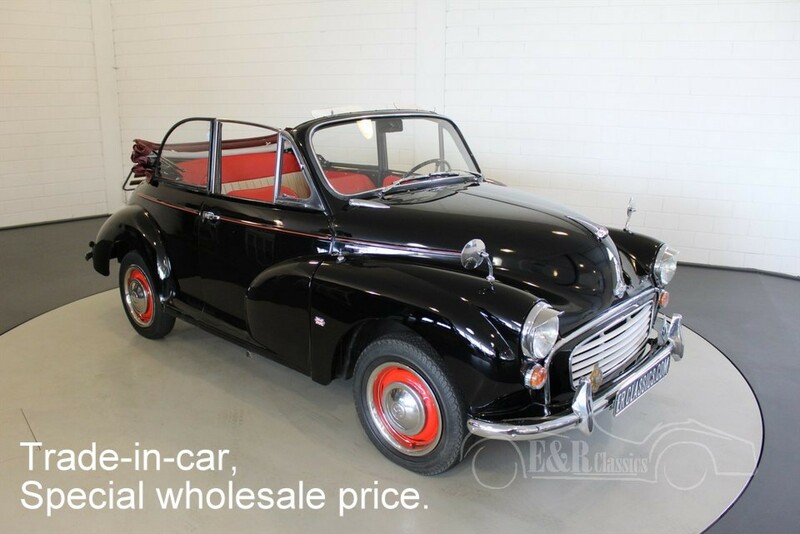 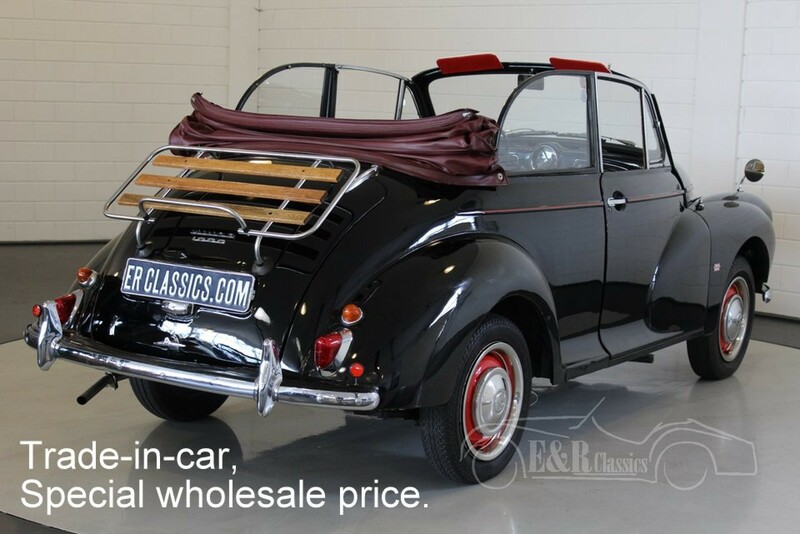 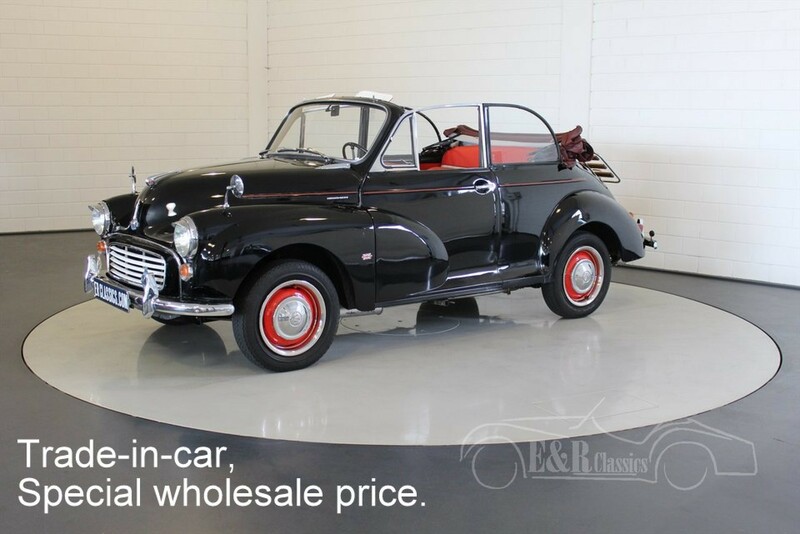 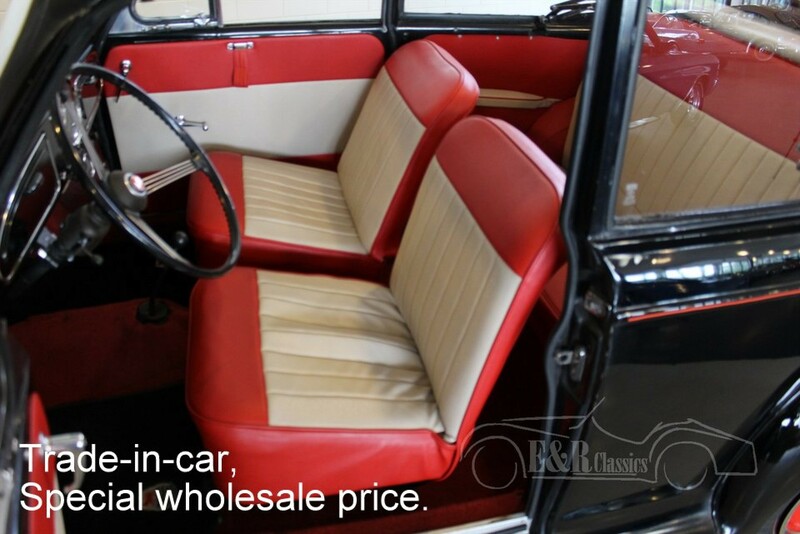 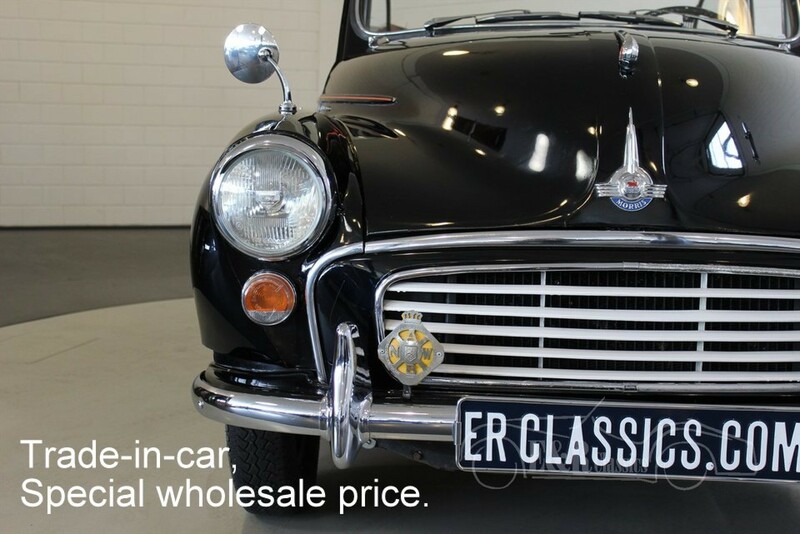 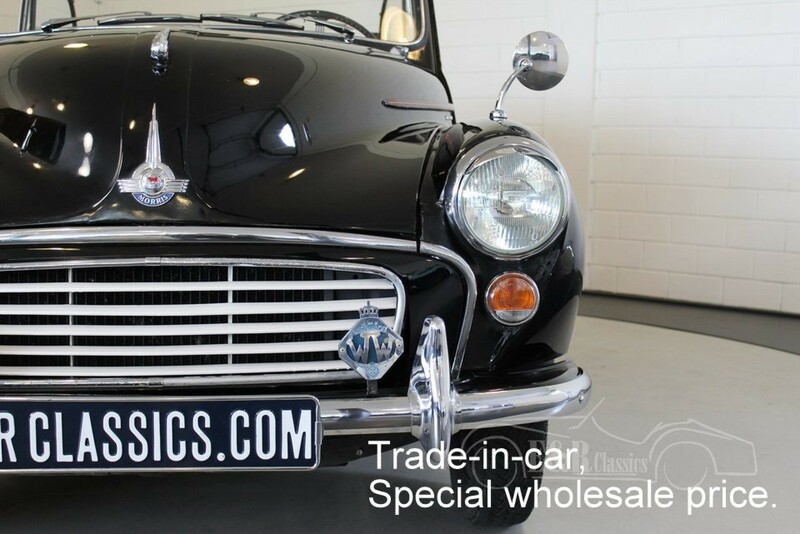 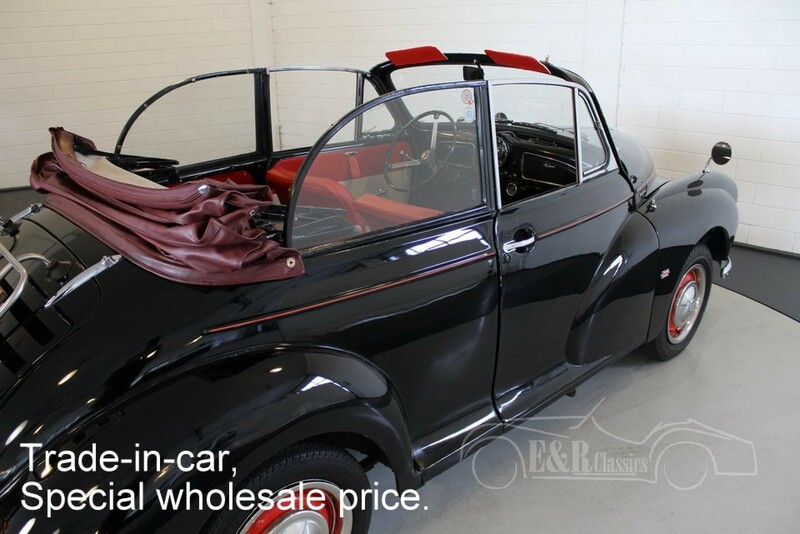 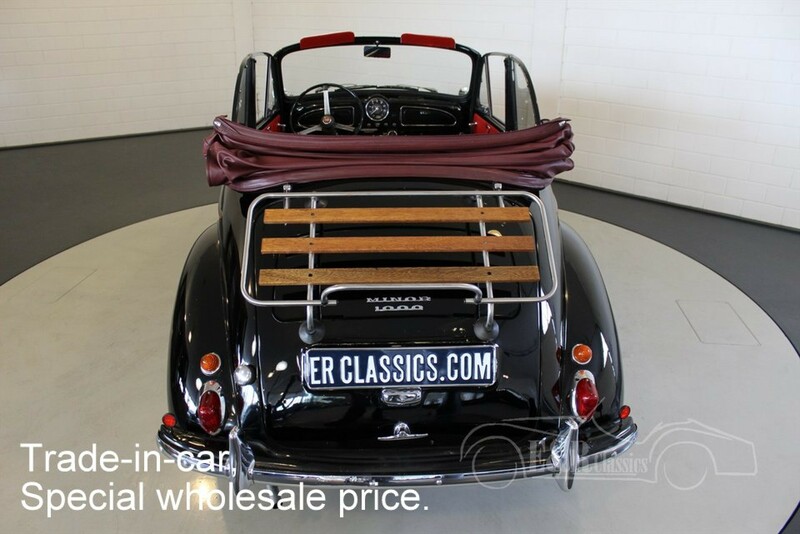 This Morris Minor 1000 cabriolet was delivered in 1960 and provided with black paint with red stripe. 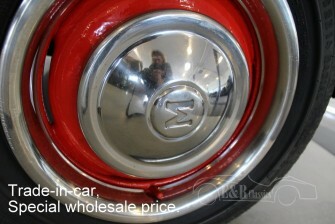 The Morris has a red vinyl soft top. 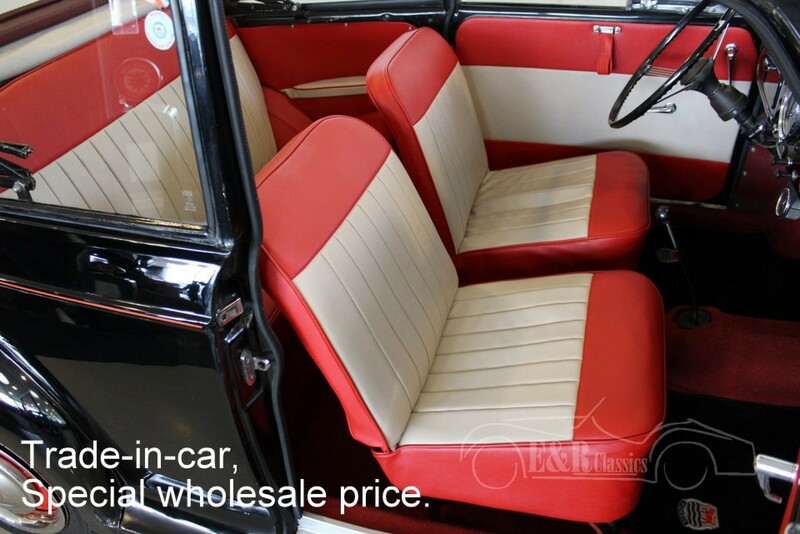 The interior has leatherette in the colour combination red/white and a metal dashboard in paint colour with a big central clock. 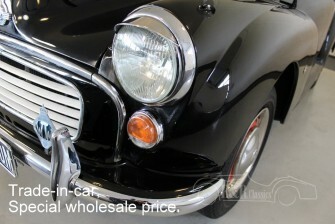 The car drives, brakes and shifts gear very well and is a pleasure to drive. 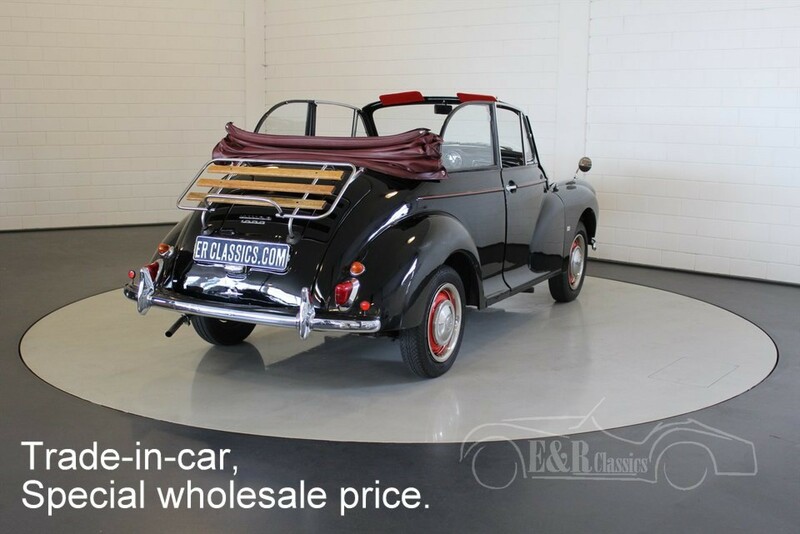 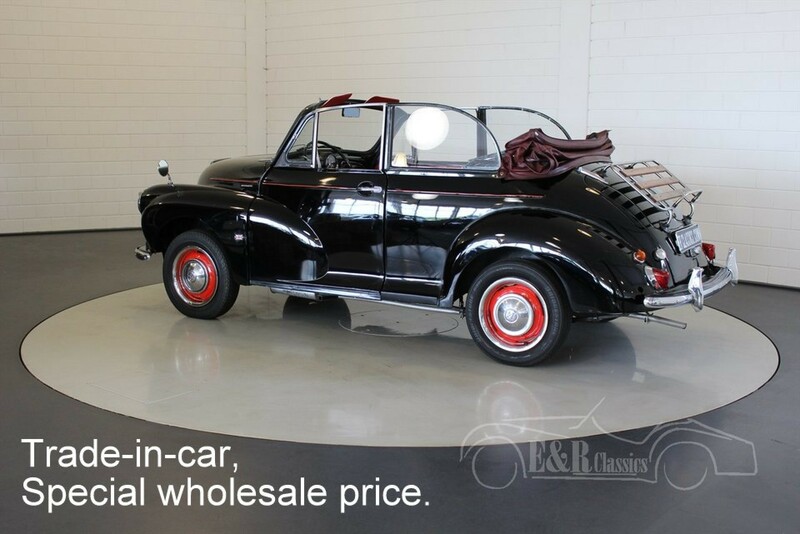 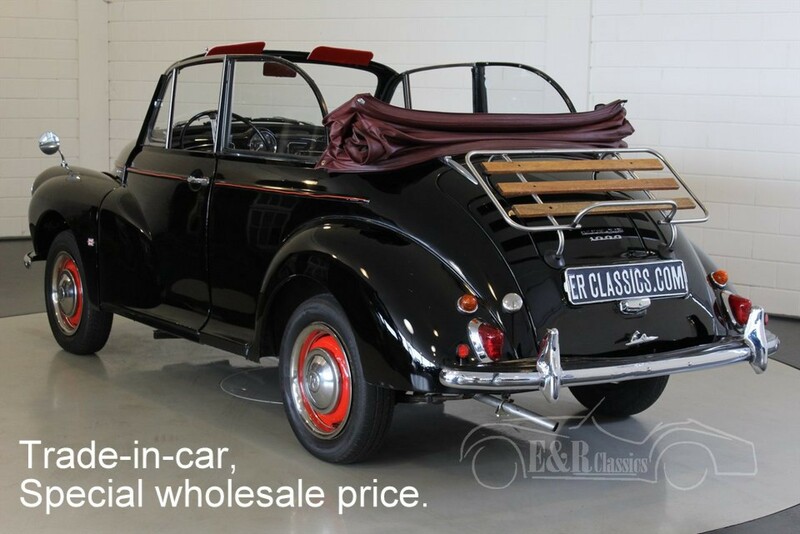 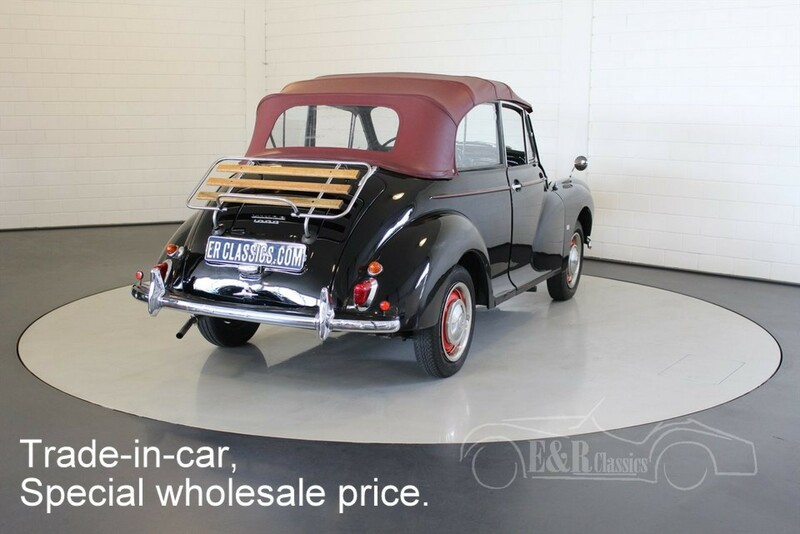 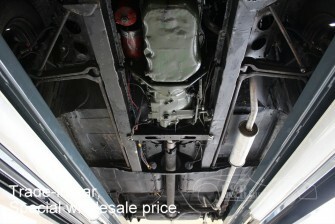 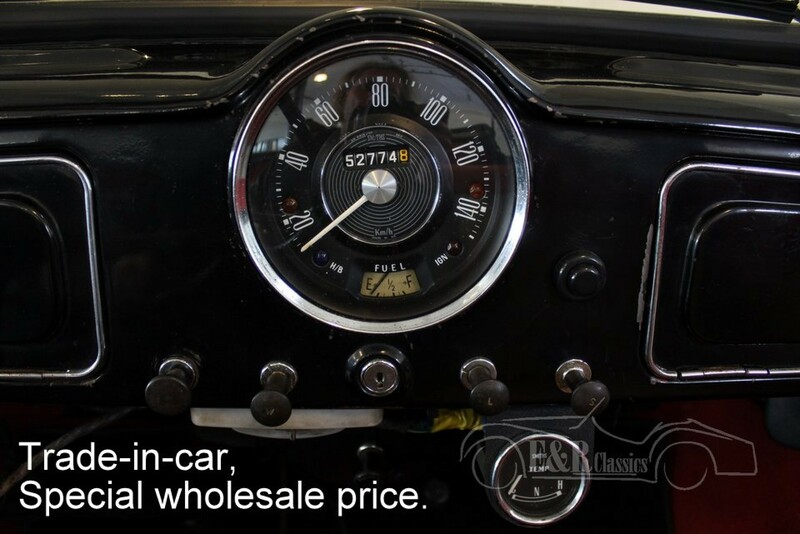 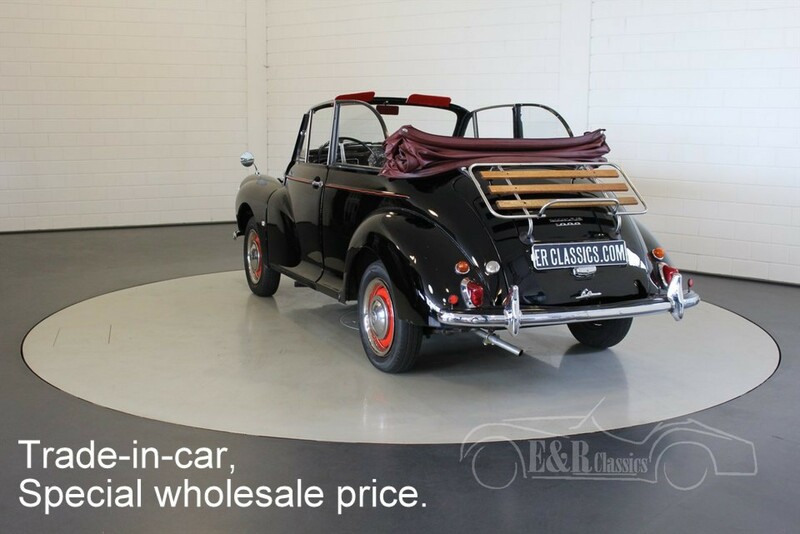 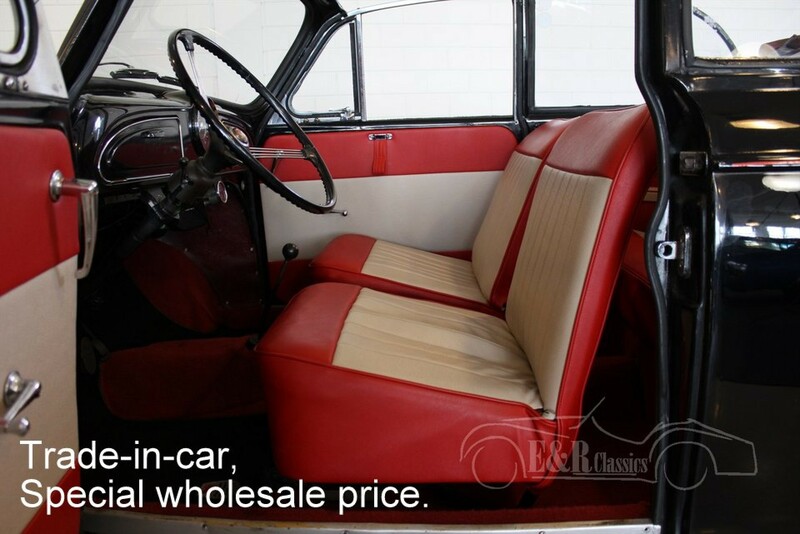 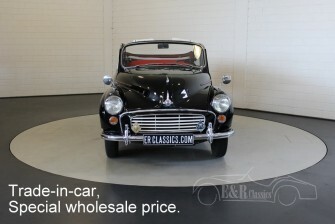 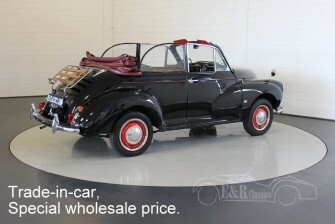 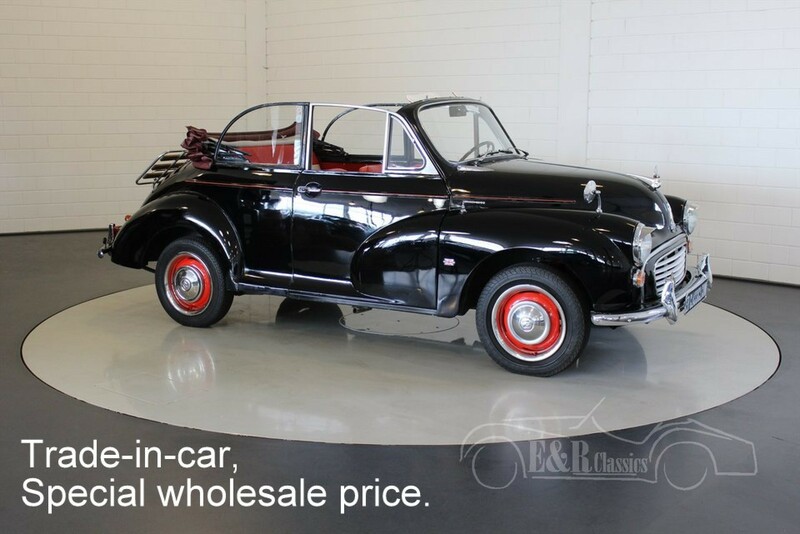 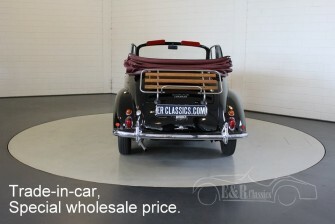 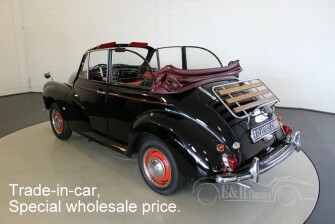 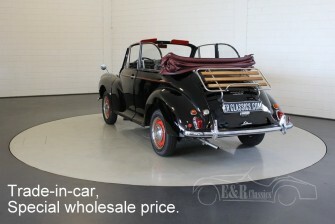 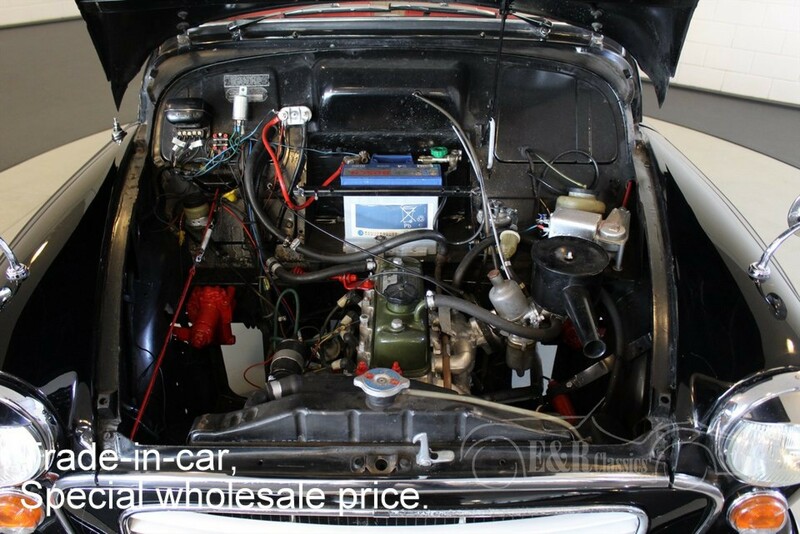 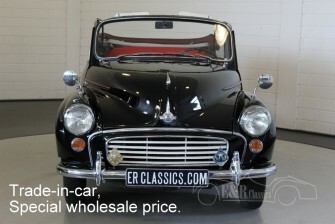 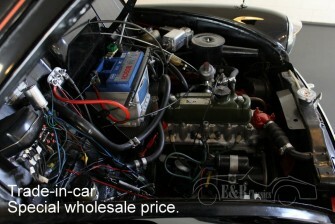 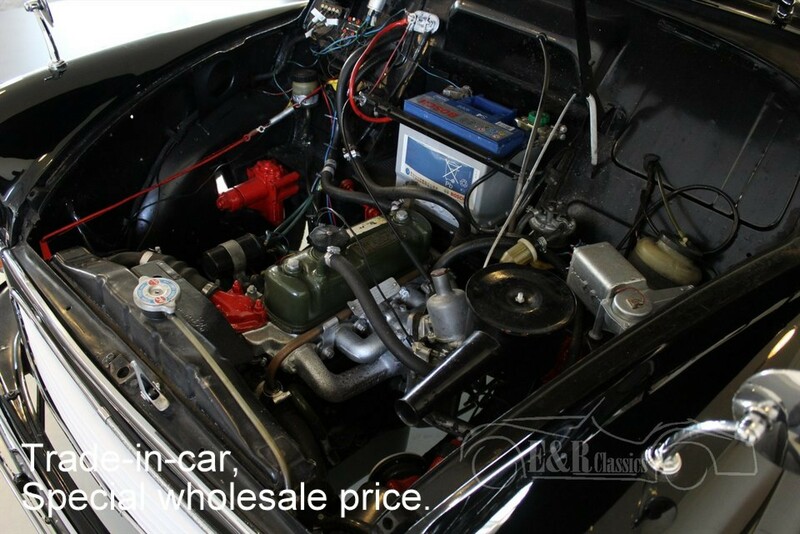 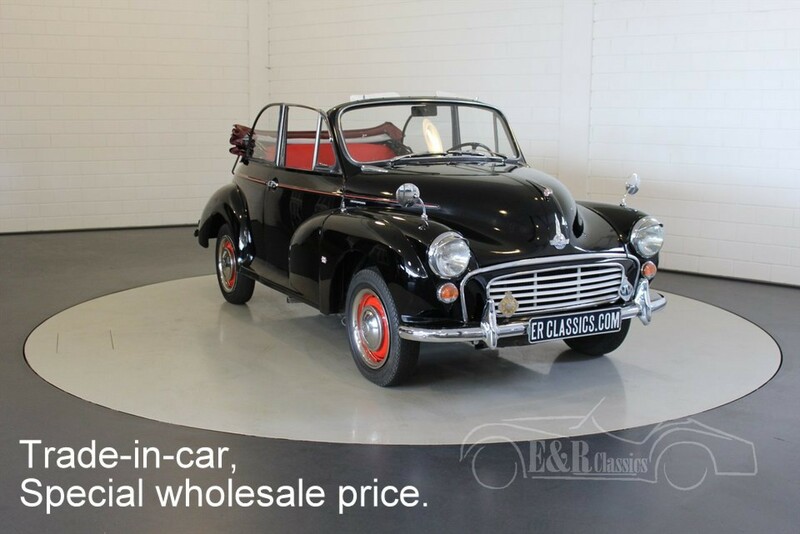 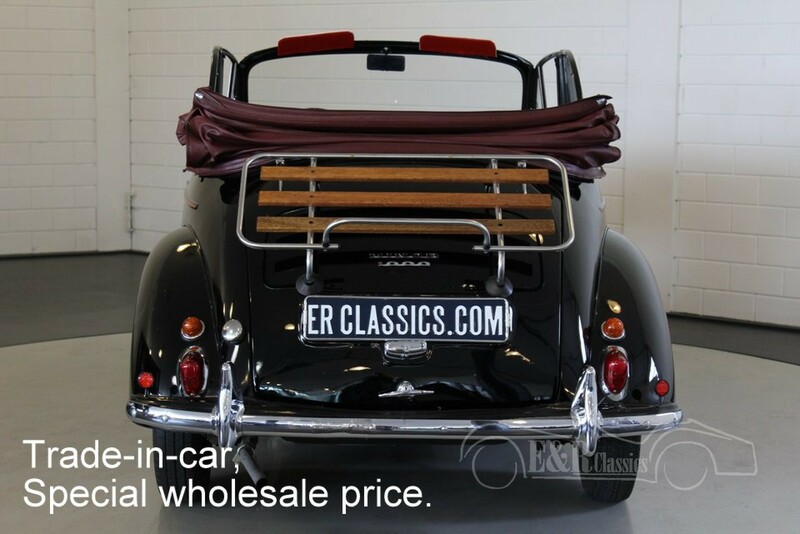 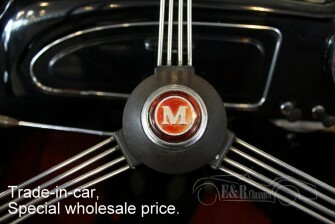 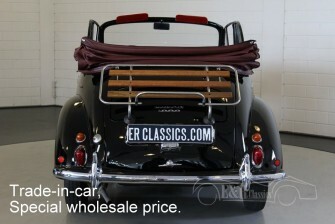 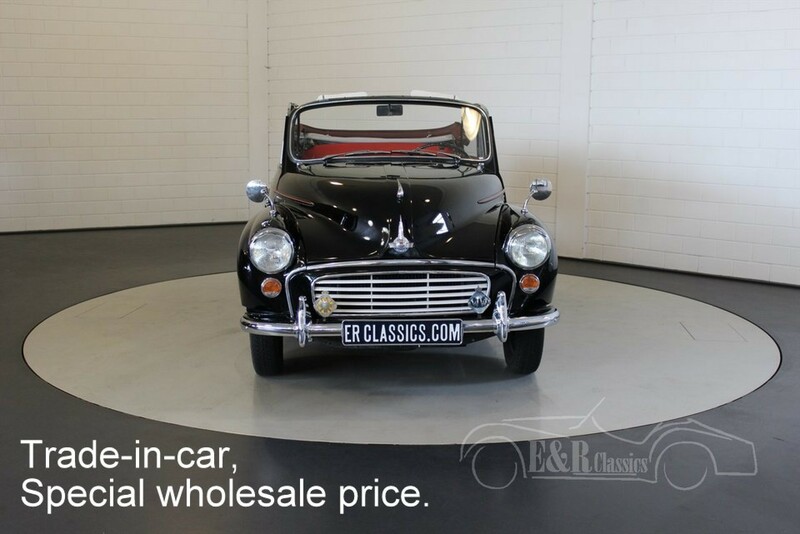 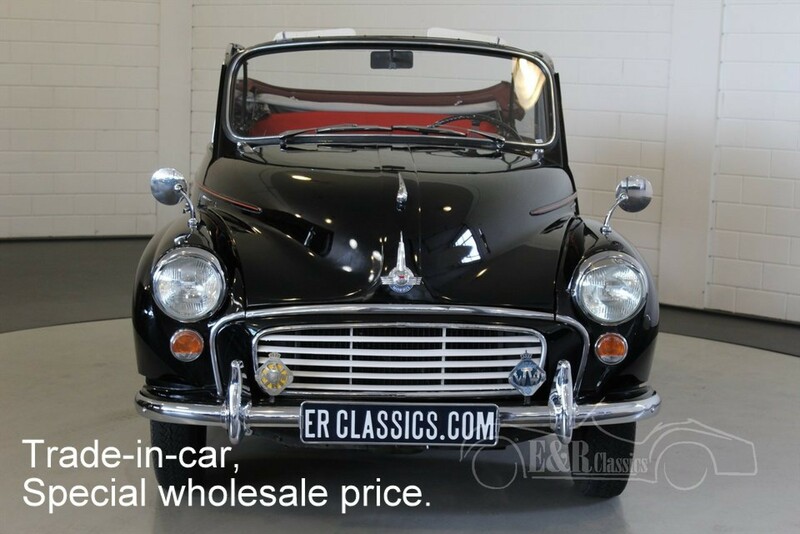 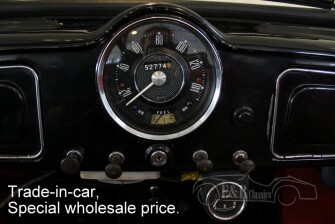 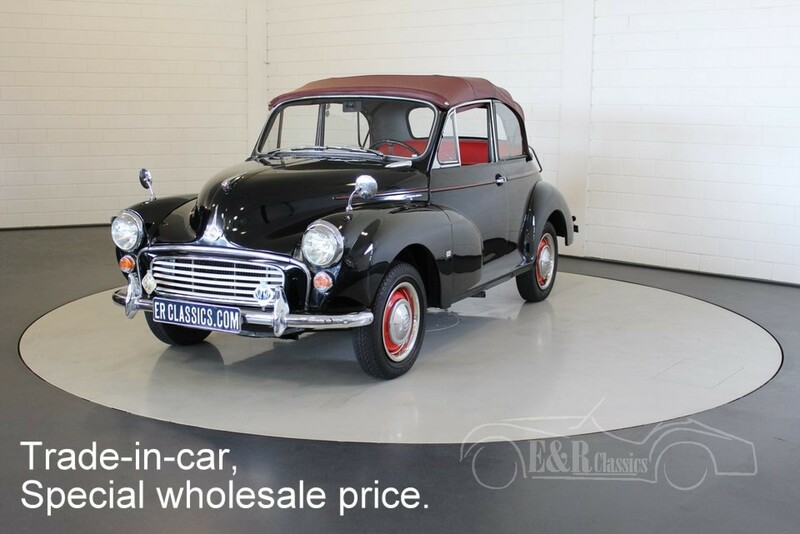 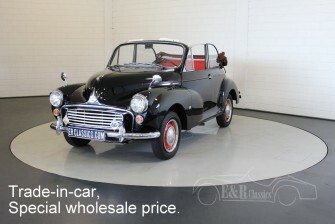 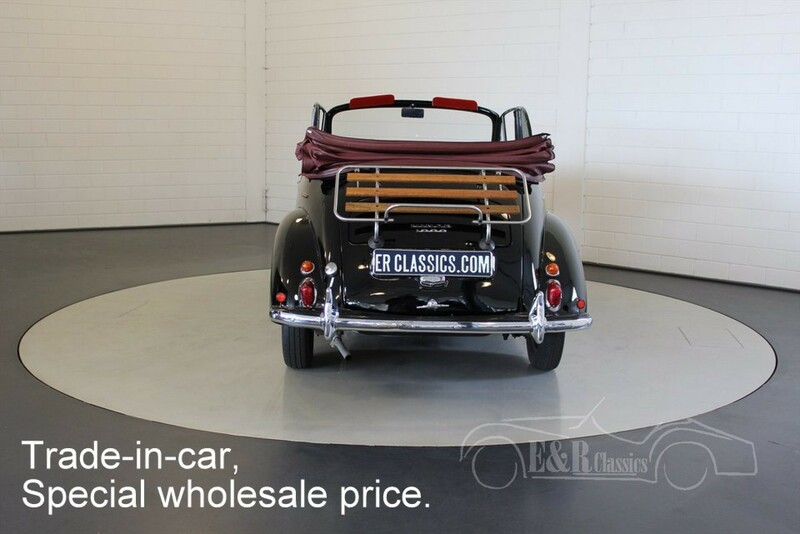 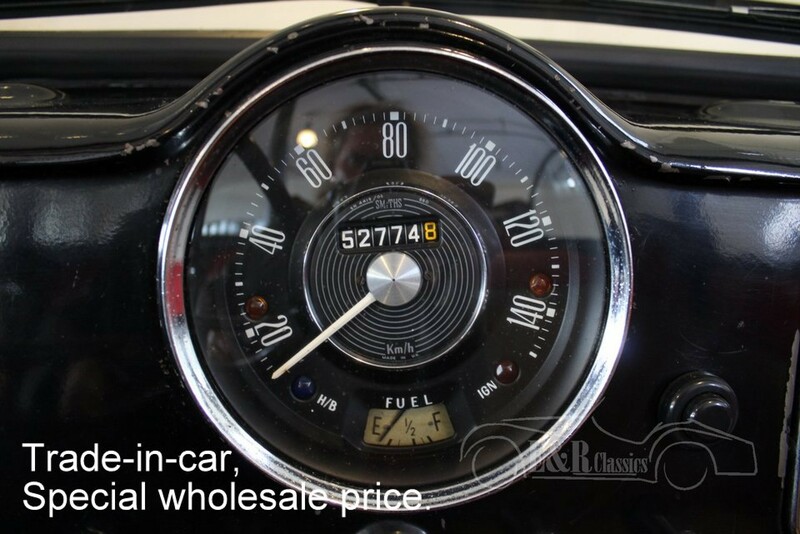 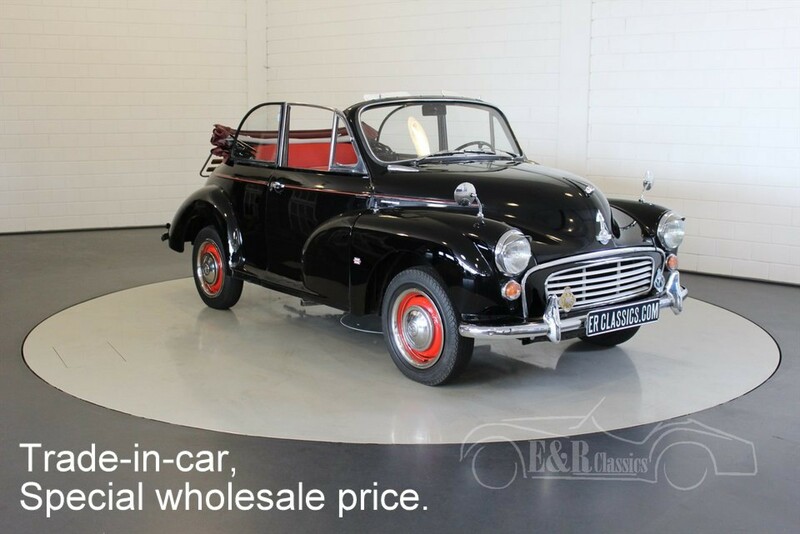 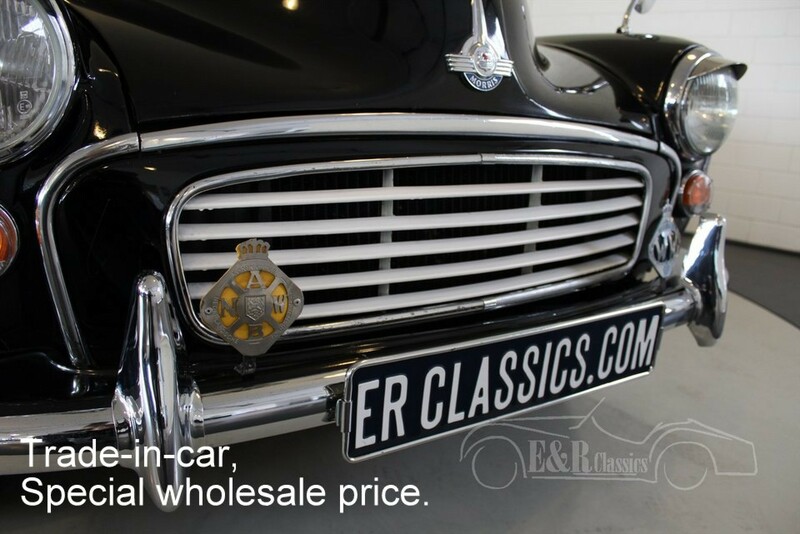 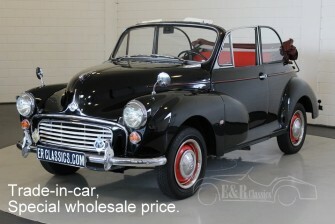 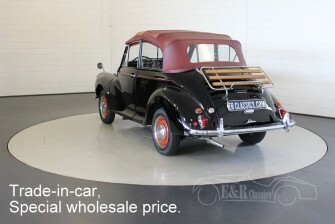 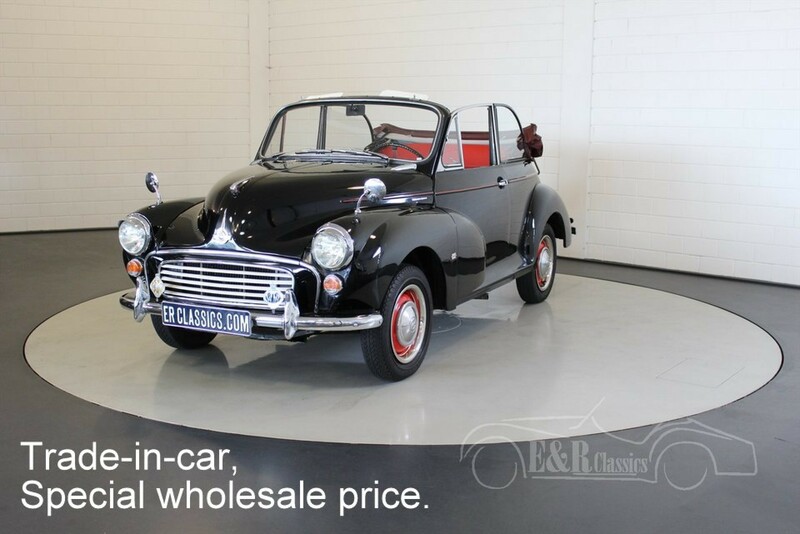 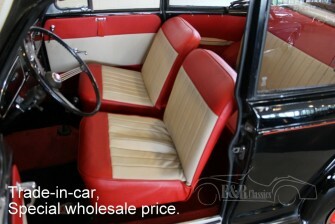 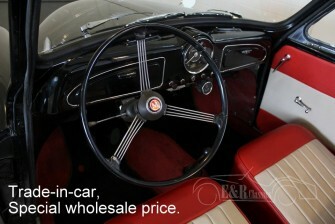 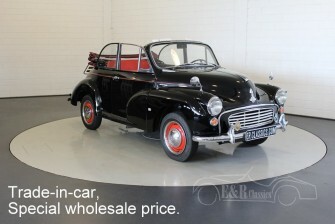 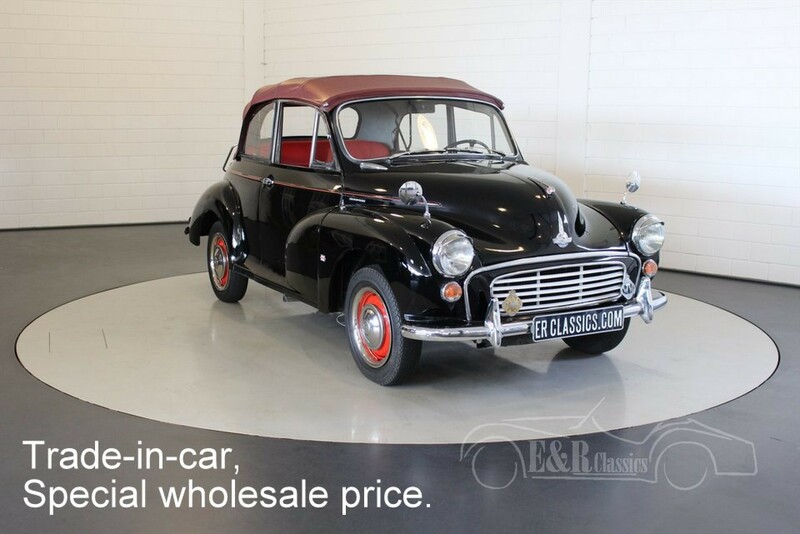 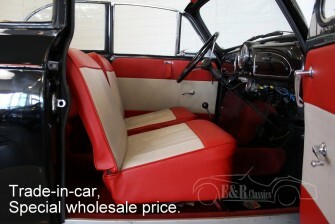 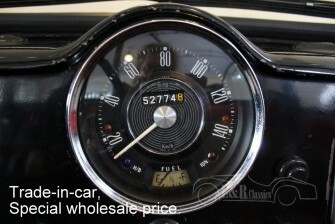 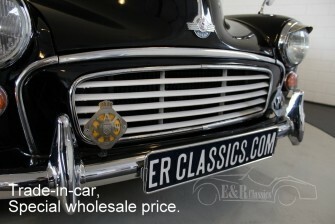 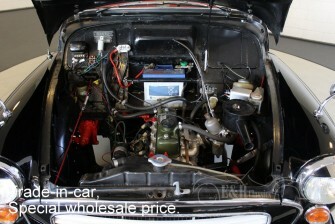 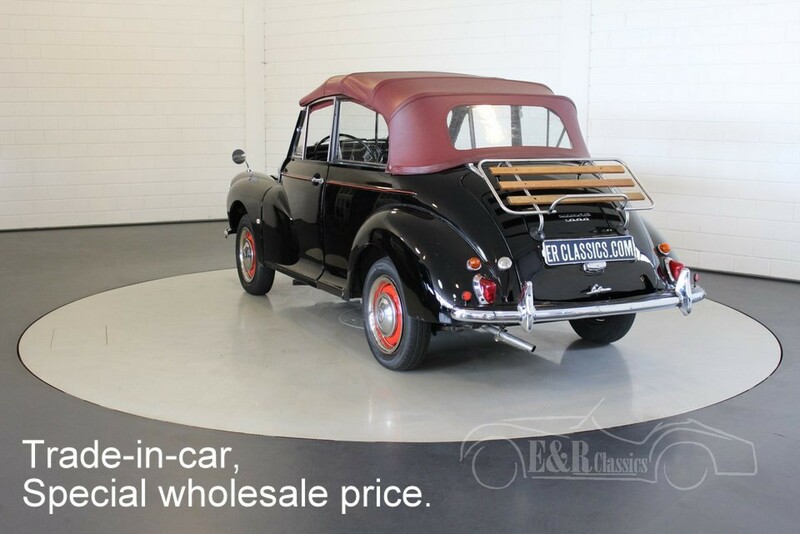 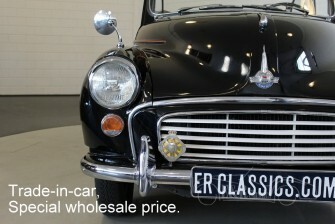 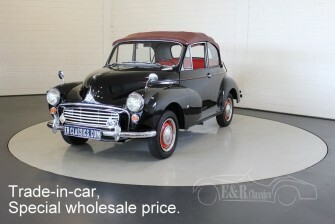 So a very good driving 1960 Morris Minor 1000 convertible.